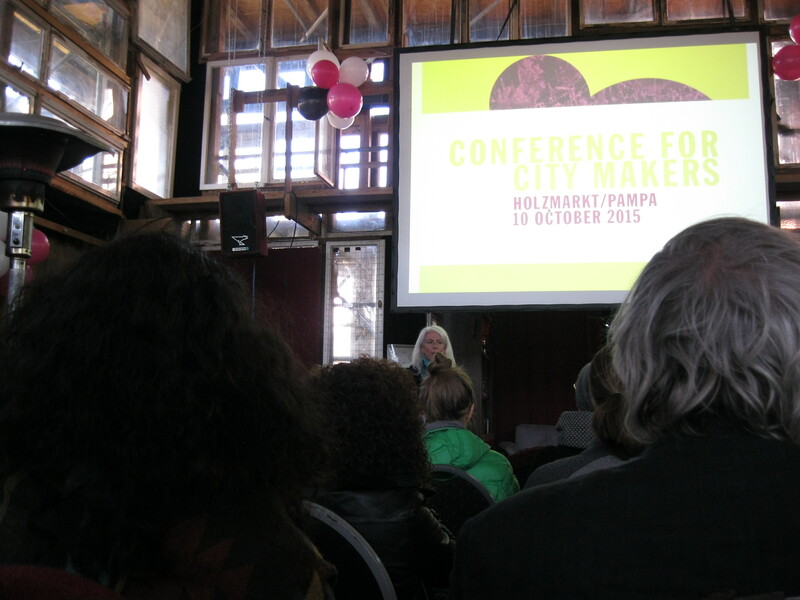 In 2014, Pakhuis de Zwijger (cultural organization in the city of Amsterdam) came up with the idea of Metropolitan Field Trips. Cities are constantly in change, new initiatives arise and try to answer to several question on how to become city-owners and how to participate in their evolution. 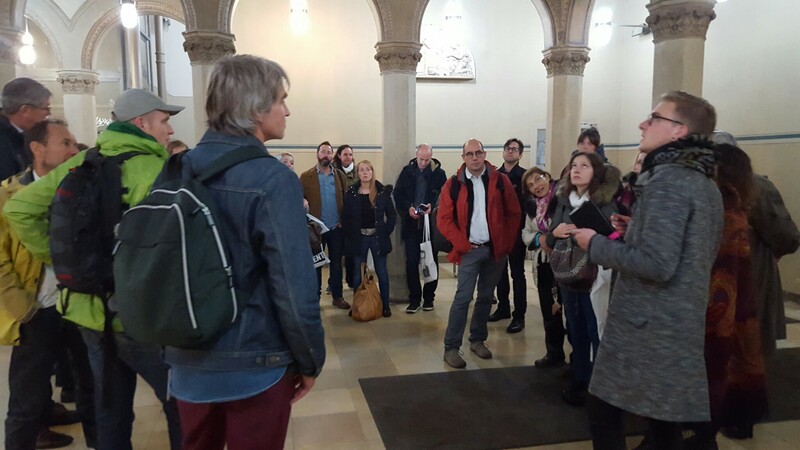 During the Field Trips, on the biggest european cities, the participants learn about diverse approaches on base initiative and about the relation between bottom-up city makers, planning agents, local government and other institutions. Field Trips have, therefore, as a goal a better understanding of the whole process of transition and they are an opportunity to exchange knowledge between partners in Europe. The program started at 4 p.m on the 8th, with the meeting point for the welcoming at Holzmarkt. 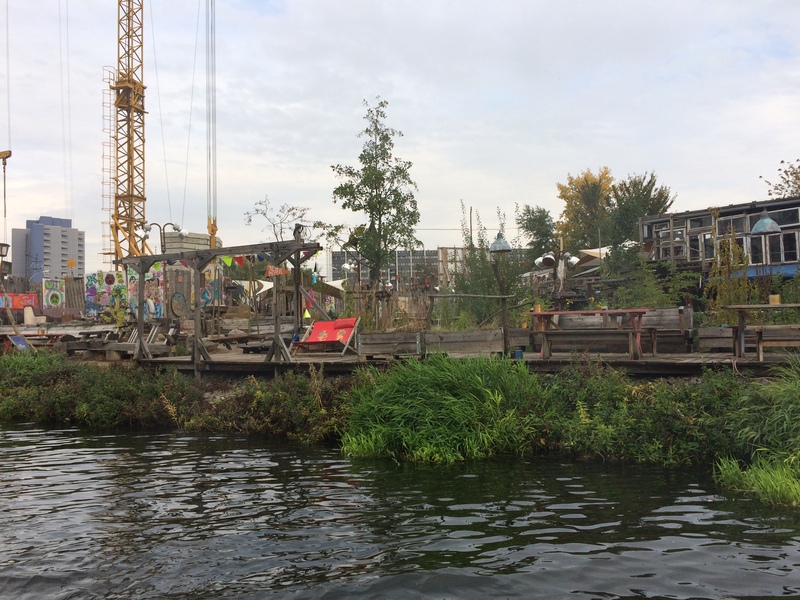 Holzmarkt is located in an old abandoned area at the Spree waterfront. 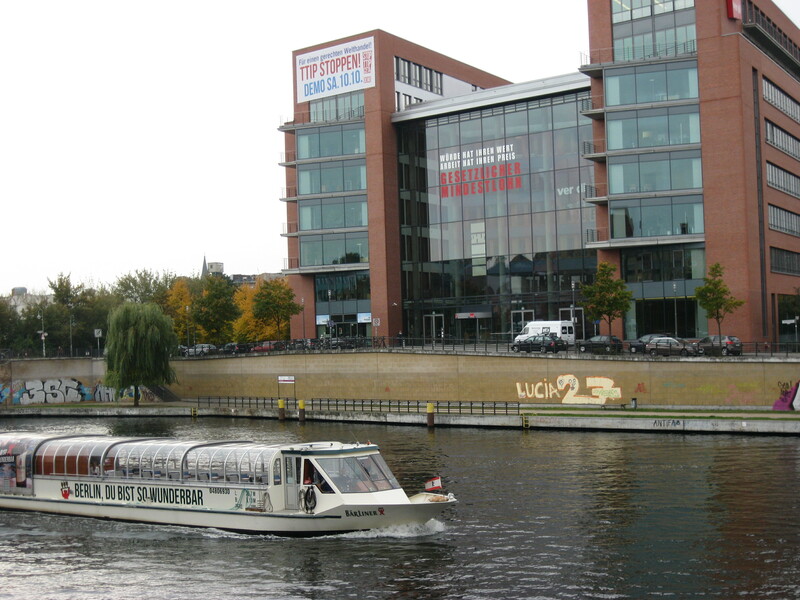 It was destined to be sold as part of the project of rehabilitation of Media Spree, but now it has become a creative space, including a night club, restaurant, artists’ studios, ateliers for start-ups and scientists, workshops and dwelling houses, everything accessible to the public under the premise “Spree riverfront for everybody”. This is because the area around the former eastern harbour has undergone a major structuring process that began after the reunification. It was supposed to be a central point to media and cultural enterprises. It already bears a large arena for sports and music events, fashion and lifestyle companies, but the project has been a target of protests for neglecting citizens’ interests. After the introduction to the program of the visit and the participants’ presentations, it was time to dinner at Kunstlerhaus Bethanien’s 3 Schwestern. It’s a building that was at risk of demolition after it was used as a hospital in the XIX century. It was transformed in a space to social institutions, exhibitions…, thanks to the citizens’ initiative. 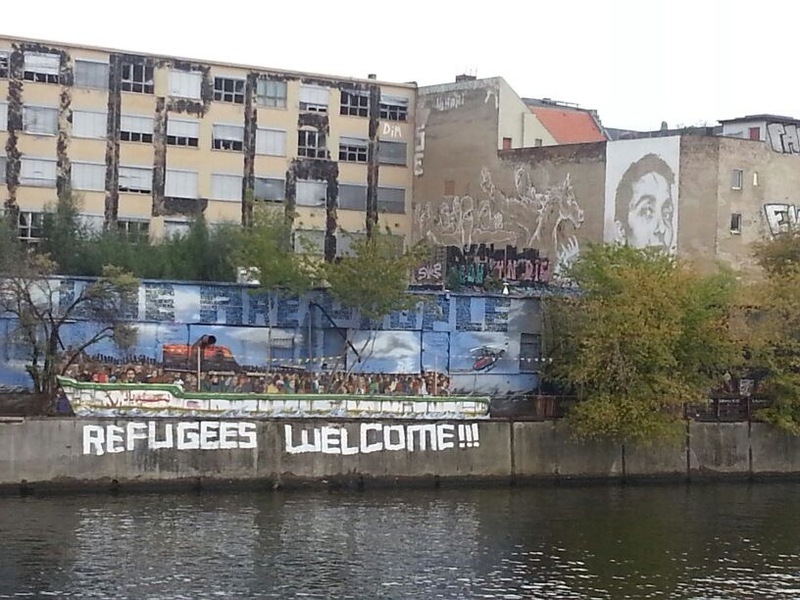 Nowadays, it is essentially a place of cultural in Kreuzberg district. 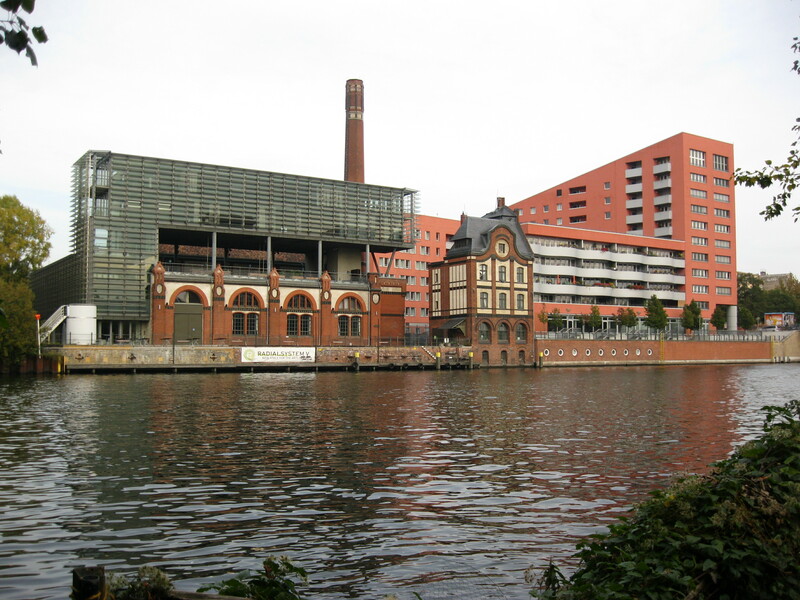 The next day started at 10 a.m in Radialsystem V, an old pumping station (one of the twelve existing in the XIX century) at the Spree waterfront. Unused in 1999, it became a centre for arts, performances and dance. The main idea is to combine tradition with innovation, classic music with contemporary music, visual arts, culture and entrepreneurship. Today is a reputed spot for dance and music shows. Forty five minutes later, the participants went for a boat trip while discussing about Media Spree, specially the restructuration that is going on at the riverfront. Lunch took place at DAZ Cantina, the German Centre for Architecture. 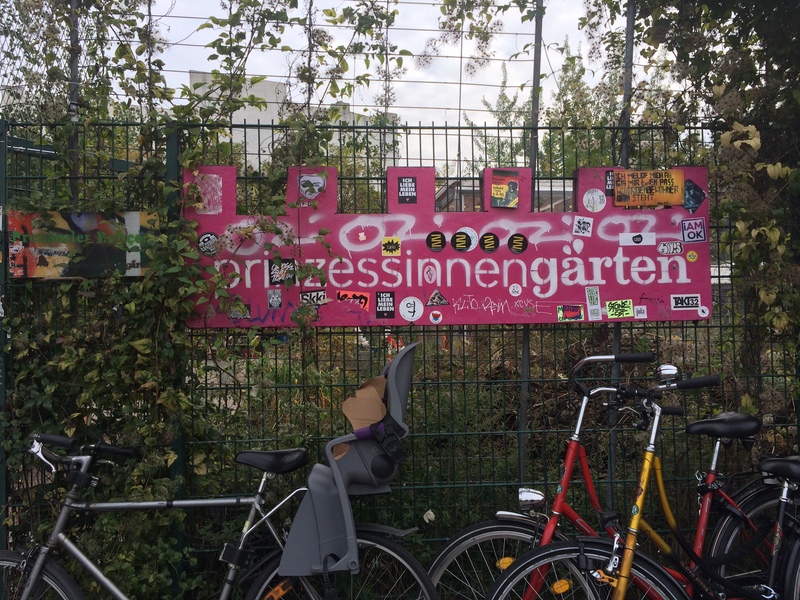 In the afternoon, the participants went on bicycles around part of Kreuzberg, and stopped at Prinzessingarten – a urban gardening project at the centre of the district that is used as a place for education, community centre and recreation. The citizens’ initiative revealed itself in the cleaning of a place that used to have accumulated waste and now it is a garden where everything is movable – plants, bee colonies, kitchen and cafe. 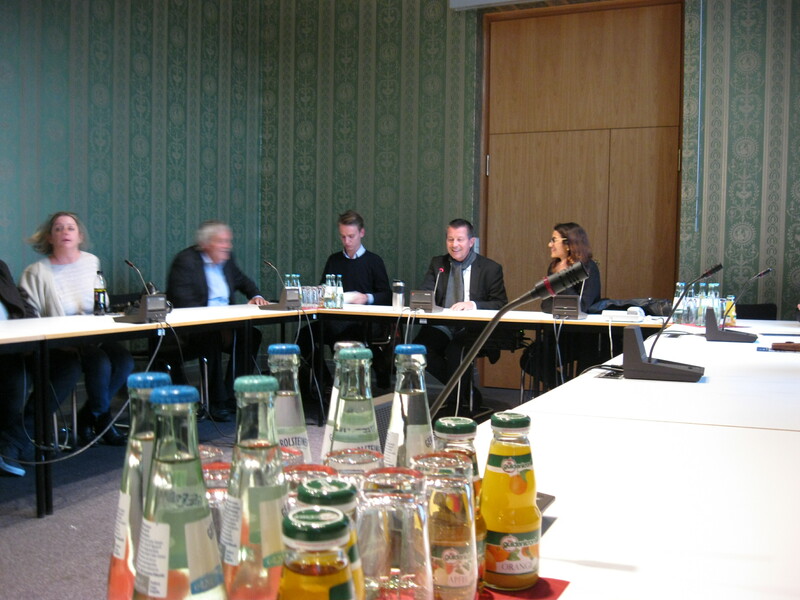 The end of the afternoon was spent at the House of Representatives of Berlin. It was made known the history of the monument and Christian Goiny, member of the Parliament of CDU party, explained a bit of everything that it’s behind the projects of restructuring and urban planning in Berlin. The day ended with dinner at “Das hotel”. 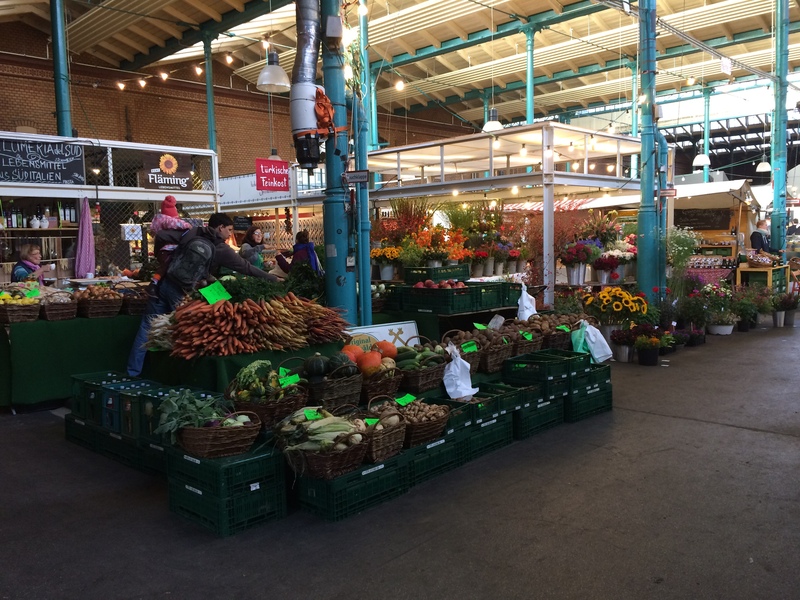 On 10th, we started with a visit and brunch in a historic market, the Markthalle Neun, with 120 years old of existence. This marked is a good example of an urban conversion and how it is possible to stay way of big supermarket chains, turning instead to the regional sellers and farmers. 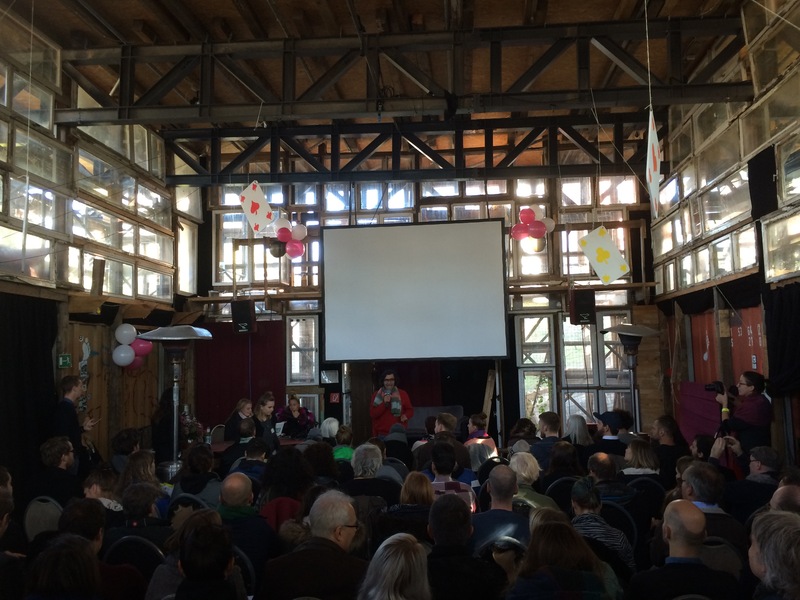 The space offers a traditional weekly market, street food market, and a platform to strengthen the regional food industry, as well as to discuss sustainable farming and city planning. 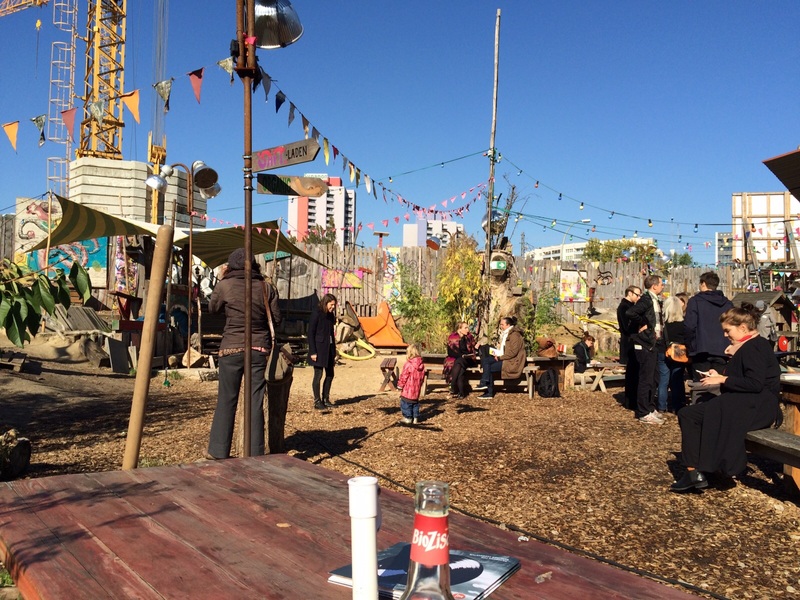 From noon to the end of the afternoon held the Players of Change – Let the city be our playground conference. 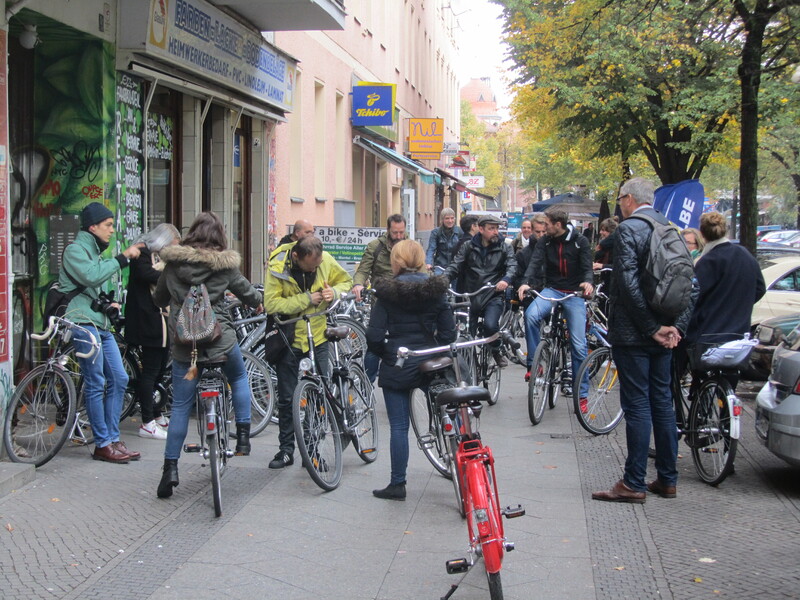 The aim was to explore the potential of urban developing in Berlin and to motivate the empowerment of young city makers and innovative urban projects through the networking, professional experience and inspiration. By the theme “Let the city be our playground”, urban visionary guests were invited to present and discuss their ideas with experts and audience, to find partners and supporters. Each project was able to be discussed by different groups of participants, each one with different experiences and points of view. The results were presented to the participants and reviewed in a discussion panel at the end of the conference. The last day consisted in a visit to Tempelhofer Feld and Allmendekontor. It’s an old airport in the heart of Berlin that became famous by its vital role during the Berlin blockade and air transport of the city, when it served as a destiny point of bombers. It stopped to be used as an airport in 2008 and it was subjected to regeneration plans that were countersigned by the public. 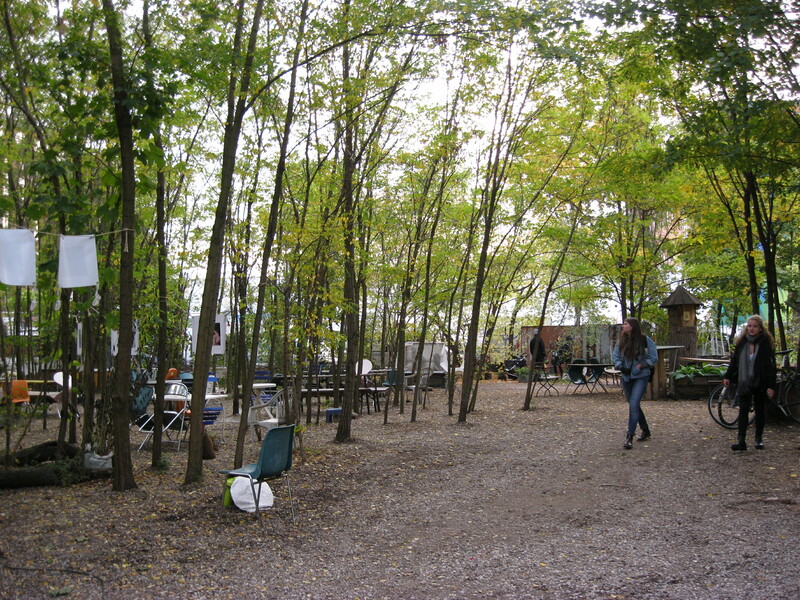 Now it’s used to recreation and it holds a natural protection zone and a wide area reserved to urban gardening. It’s visible the gentrification process with new cafes, pubs and stores in the surrounding area. What can we take from this experience is the awareness that as citizens we may change what surround us. We do not have to accept things as they are. Cities influence each others, but the citizens are the city. We should not accept what can’t be change, but we should change what shouldn’t be accepted. We need creative bureaucrats that want to change what it is not right. However, we shouldn’t forget that we are players of change, we make the city. For that reason, while working on the projects that we want to develop, we need to be friends of the city and we must explain that friendship while looking for the support of other people, and talk more about the community itself instead of focusing on our project. Besides, it is crucial to experiment: we should put our project in practice, because if we just talk about it, then our project will stay like that…nothing but a project.